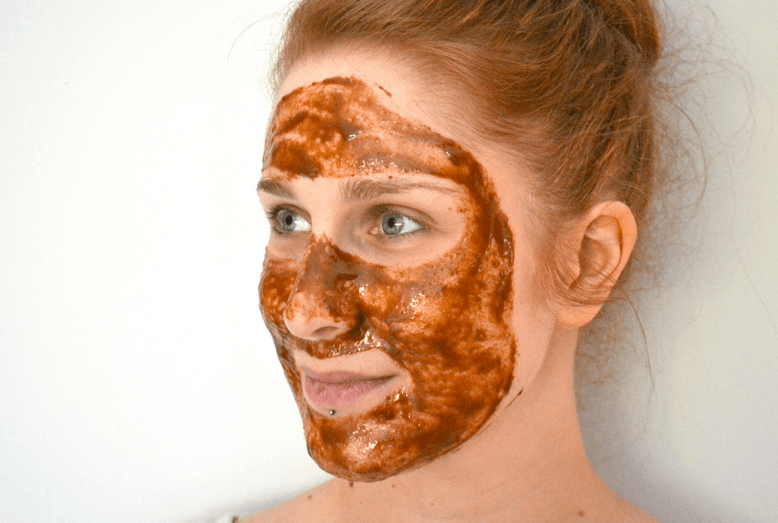 How to lighten your skin fast at home? Many people wish to have flawlessly white skin. People from some countries believe that having whiter skin will make them more attractive. Skin color is dependent on the pigment of the skin called melanin. Melanin provides melanocytes. 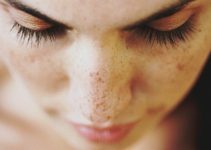 Usually, the more melanocytes the skin has, the darker the skin is going to be. Being exposed to the sun’s rays -The ultraviolet light in the sun can stimulate the production of melanin, which will lead to dark skin. So you need to avoid exposure to the sun for a long time. If you can’t avoid it, then you’d better wear sunscreen. You can also wear a hat or a coat that can block sunlight. Prolonged exposure to polluted air – People’s skin may become darker when it is always exposed to various chemicals that contribute to air pollution. Heavy cosmetic use – There are some cosmetics that contain certain chemicals that can darken skin over time. Aging – As people age, their skin may become less supple and may also turn darker. Bad Lifestyle – Some bad lifestyles, such as staying up late, drinking too much alcohol, heavy smoking can lead to a deterioration of your skin’s health and look dark. 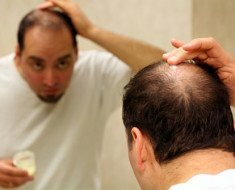 Stress or anxiety – A long period of stress or anxiety can disrupt the hormone levels of your body, leading to many skin problems such as pimples and dark spots. You may want to try some whitening products. Aside from being expensive, they may contain some chemicals that will do more harm than good in the long run. Some natural home remedies will be better for your skin because they are effective and safe. Tomatoes can naturally whiten the skin because it contains bleaching and whitening properties. They are also rich in Vitamin C. As a bonus, they can also act as astringent. If you have oily skin or if you are prone to getting acne, using tomatoes on your skin can also improve your skin’s condition. You would have to mash the tomatoes to a pulp. Place the pulp on the skin and wait for it to become dry. Add another layer of the tomato pulp and again, wait for it to dry up. 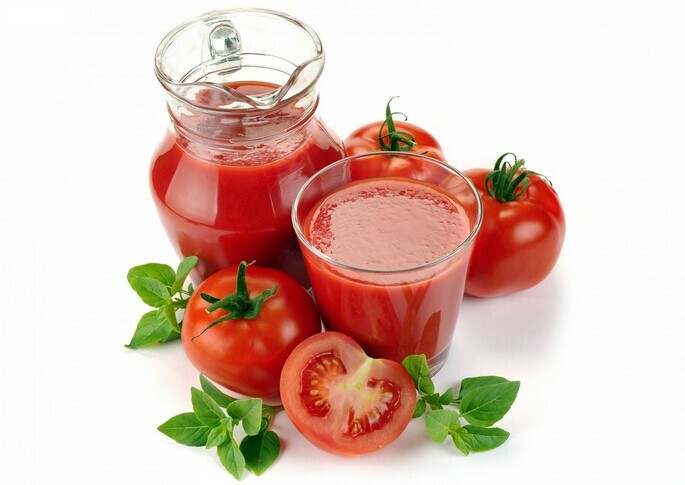 Wait for the tomatoes natural ingredients to do wonders to your skin for 20 minutes. You may have to do this every day to get your desired results. When you were still young, you were told that you have to drink milk because it contains calcium. The calcium in milk can also be used in order to improve your skin’s condition. When your skin is dry, this can cause your skin to become darker than usual. Milk will prevent this from happening. Milk also contains lactic acid so that the skin’s pigmentation will increase. Heated milk will work better so make sure that you will heat your milk before you use it. Use a clean cloth in order to apply the milk on your dry skin. Make sure that the milk is not that hot anymore. Massage the milk on the skin for about 3 – 5 minutes. This needs to be done daily for about 2 weeks if you want to get the best results. If you would check out a lot of your cosmetic products, you will see that mulberry extract is one of the main ingredients. This is effective in improving the melanin production of the skin. Aside from that Mulberry extract contains gallic acid, fatty acids, quercetin and many more that can be good for the skin. 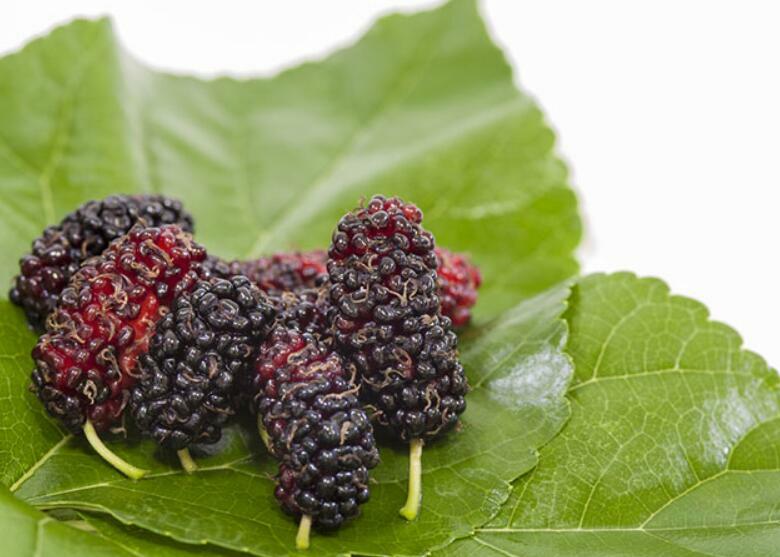 If you can get the mulberry extract, you can add it to any of your skin products. Apply the skin product to your skin. This needs to be done twice daily in order to make your skin naturally whiter. Aloe Vera is good for the hair because it can help reduce the possibility of hair fall. At the same time, Aloe Vera can also make the hair naturally thicker. It also has some good properties for the skin. 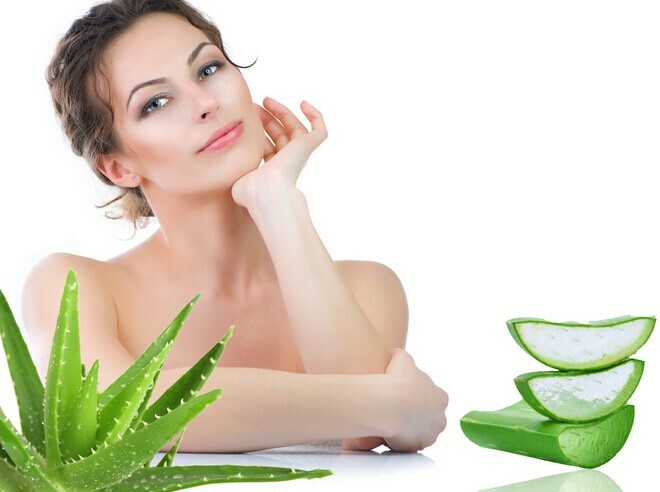 Aloe Vera contains Aloesin which can improve the production of melanin on the skin so you can expect that your skin will be brighter and smoother. Make sure that you will get an Aloe Vera leaf. Get the gel from the Aloe Vera leaf and apply on your skin. You would have to do this four times a day for a couple of weeks. Once you start seeing the effects, you can lessen the number of times that you can apply it on your skin. If in case you do not have access to real Aloe Vera, you can always get Aloesin extract from the drugstore and apply this on your skin like how you would apply Aloe Vera gel. Do you wonder why there are a lot of skin products that contain honey? This is because it can bleach and moisturize the skin. This can help remove the dead skin cells so that the skin will look brighter and lighter. Make sure that you will choose pure and organic honey. Once you have chosen something effective, you can apply it to your skin. Leave for about 5 minutes. Do this every day to get the best results. If you would check a lot of whitening soaps, you will see that papaya is one of the best that you can have. This contains natural bleaching properties and nutrients that can naturally whiten the skin. Mush the papaya before applying it to the skin. Leave on the skin until it is dry. 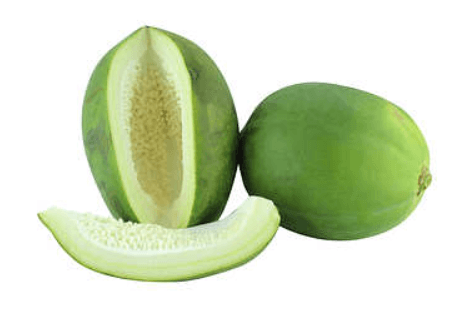 Remove the papaya on the skin with cold water. One of the reasons why skin tends to become darker is because old skin still has not been removed from the surface of the skin. 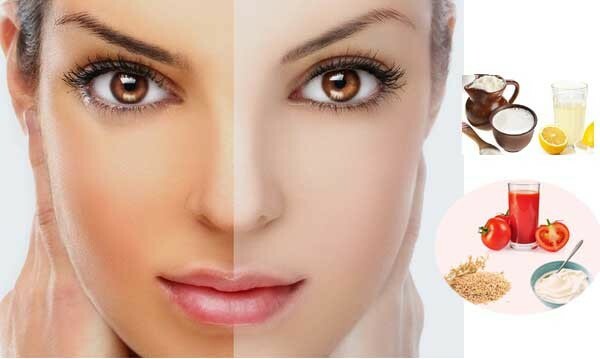 You would like to improve your cell growth and you can do this by using oatmeal in order to exfoliate the skin. Oatmeal can remove the dead skin that has been stuck on the surface of your skin for quite some time. You would need to mix oatmeal with tomato juice in order to make this more effective. Apply it to your dark skin. Leave on the skin for about 20 minutes. Remember to gently scrub your skin so you will be removing your dead skin cells. This needs to be done every day. Have you ever wondered why you need to place this in your eyes whenever your eye bags are dark? This is because it can naturally lighten your skin. You can also place this on other parts of your skin so that it will become lighter. This can make the skin firmer and in turn, the skin will look lighter than usual. You need to grate cucumber first. Add honey so that this will be more effective. This can be used as a mask. Do this twice a day, once in the morning and once at night to naturally lighten the skin. Even though turmeric has gained popularity now, there was a time when Turmeric is only popular in India. Turmeric can help improve the complexion of the skin. 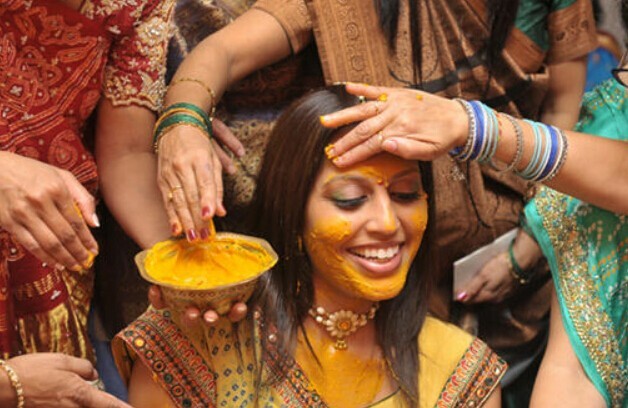 Turmeric can help even out the skin tone. Since turmeric has antioxidant properties, it can help remove the toxins from the skin so that the skin can improve greatly. Mix turmeric powder with milk to make a paste. Place the paste on the skin. Leave on your skin until it dries up. You should do this every day to get the best results. You know that skin lightening will not be complete without lemon juice. This contains natural astringent properties which means that pores will become naturally smaller and will also reduce sebum production. At the same time, lemon juice also contains Vitamin C so that the skin will improve. Lemon juice should not be placed on open wounds. Aside from the fact that it will hurt a lot, it will not be good for your skin. Remember that when you apply lemon juice on your skin, your skin will become more sensitive. You may want to dilute the lemon juice before you place it on your skin. Do this a few times a week. There are a lot of uses of yogurt and this can be highly effective for the skin as well. 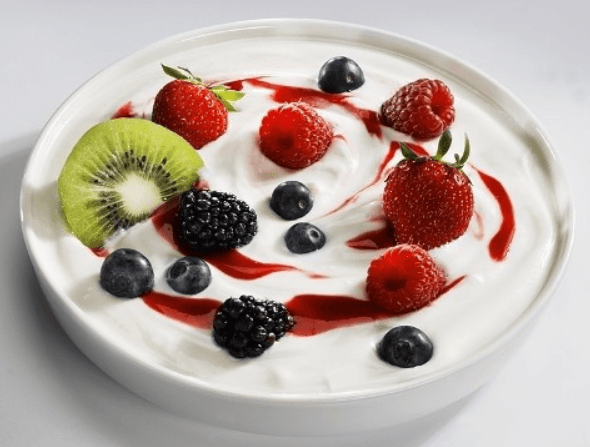 Yogurt is rich in lactic acid which can help improve the skin’s condition. At the same time, yogurt has bleaching properties that can make the skin lighter than usual. Choose unflavored yogurt instead of flavored one to improve the skin. Once placed on the skin, massage it for about 5 – 10 minutes. Do this every day in order to get the best results. Like lemons, oranges contain Vitamin C that can be very helpful for skin care. If you have always taken vitamins and supplements that contain Vitamin C, you know that oranges can also be good for your skin. Orange can naturally lighten the skin because of its natural bleaching agent. Mix orange juice with turmeric powder to get a paste. Apply the paste on the portions of your skin that you would like to lighten. This is best to be placed on your skin at night and rinsed away from your skin in the morning. Do this every night so you can get the best results. There are some people who naturally love eating almonds because of its health benefits. This can be an alternative to junk food especially for people who are craving some snacks. Almond oil also contains unsaturated fatty acids, minerals and various vitamins that can naturally improve the skin and make it lighter. Heat the almond oil for a while before applying it to the skin. Massage the skin for about 10 – 15 minutes. Do this every day for two weeks until you start seeing visible results. You may lessen the number of times that you are going to apply it to your skin as time goes by. Over the past years, more and more types and brands of Kojic soaps have appeared. Kojic acid comes from mushrooms and other fungi. Basically, this can help inhibit the formation of melanin on the skin’s upper layer. While Kojic Acid was first used in Japan, it is now available in various parts of the world as a natural skin whitener. Rinse the skin that you would apply Kojic Acid to. Apply the Kojic Acid on the skin. Do this twice every day for a couple of months for the best results. Potato contains some mild bleaching properties that can help make the skin naturally whiter and firmer. This can clear away dead skin cells that may cause the skin to look darker than usual. 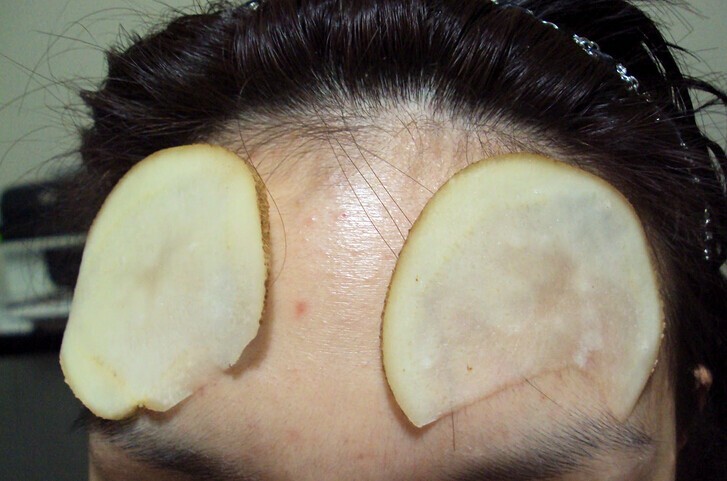 Peeled off the potato’s skin. Extract the juice from the potato. Rinse of the potato juice from the skin with water. Do this twice every day so that you can get the best results. 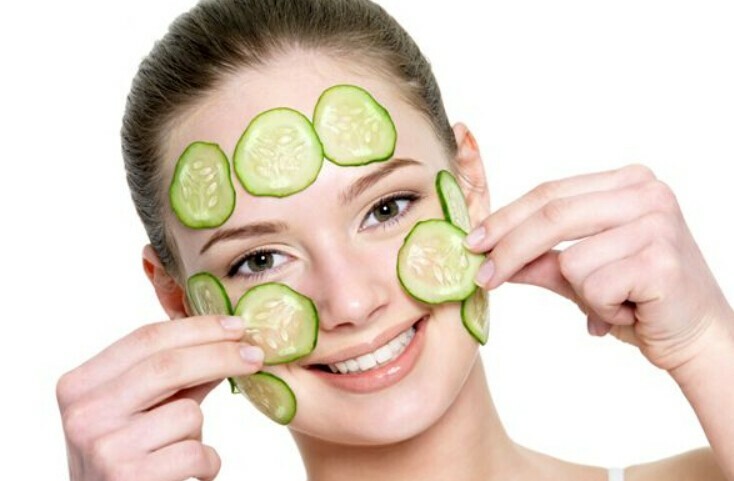 You can achieve naturally lighter and whiter skin by doing the above-mentioned home remedies. Out of all the ones listed above, which one is the most effective for you? Feel free to share your story and opinion.